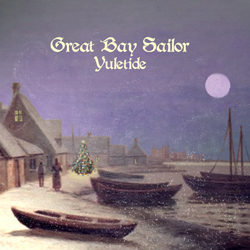 The 2012 release of the Yultide CD is the culmination of many winter season celebrations. 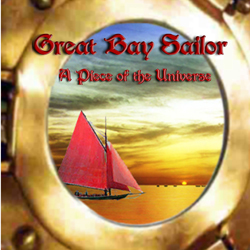 Great Bay Sailor started off as the happy reunion of three singing friends, Bruce MacIntyre, Steve Carrigan, and Kevin Scanlon. With an extensive repertoire of maritime, Irish/Scottish and ol’ timey songs, these past members of the High Pukka Flying Squad brought their high-energy strings and harmonies to their CD release “A Piece of the Universe”. This album was recorded mostly in one session at Rick Watson’s recording studio in Kittery, ME. Toad in the Road performed instrumental and vocal folk and traditional music from a variety of Celtic-influenced traditions. As this is a living tradition, their music spanned the spectrum from early17th century Irish harp compositions up through whaling songs and chanteys to contemporary New England folk music, but never strayed too long from the rich musical dance traditions of Ireland and other North Atlantic countries. The members included Stephen Carrigan on vocals, Bruce Macintyre on vocals, guitar, tin whistle and bodhran, Bob Paul on hammered dulcimer and banjo, Mary Paul on Irish Harp, and Paul Semprini on English Concertina. “No Better Place to Be” is the culmination of many years playing together.